Studio Ghibli has, as a whole, one of the most impressive and beautiful libraries of any film studio in history. In one montage, see how the studio’s ideas and style have taken shape over its history. 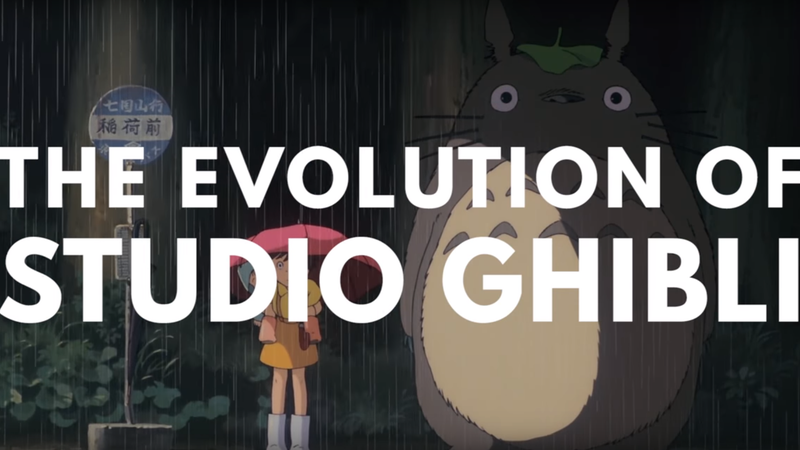 The video, made by YouTube channel Burger Fiction, is a montage of clips from each of the studio’s films, beginning with Nausicaä of the Valley of the Wind, the success of which led to the founding of Ghibli, before moving onto the releases of the studio itself. Each clip is representative of that particular film’s style and concerns, and it’s fascinating to watch them run into each other one after another. You can watch the video below, and check out the rest of Burger Fiction’s supercuts here.